This article may contain affiliate links. This means that clicking on or purchasing products we recommend through a link may earn us a small commission. For more information read our disclaimer page. Peace and privacy at a Caribbean beach aren’t hard to find when you visit Governor’s Beach Grand Turks, Turks and Caicos. 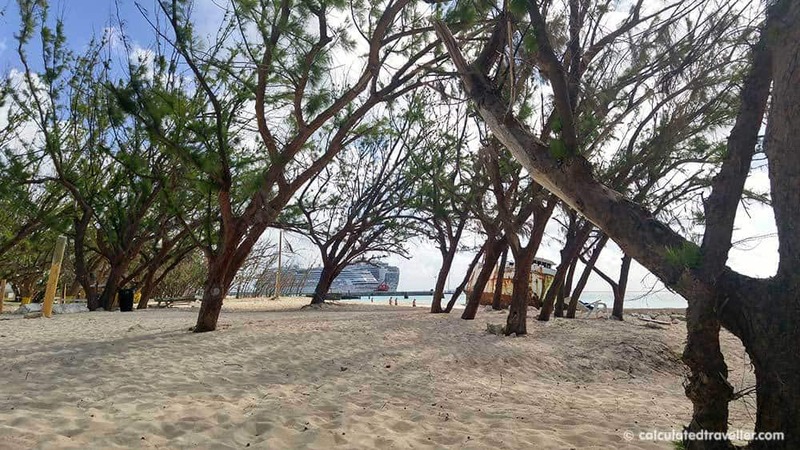 If you are a cruise ship passenger to the Caribbean, it’s tough at times to find a spot on a beautiful beach with space to breathe. 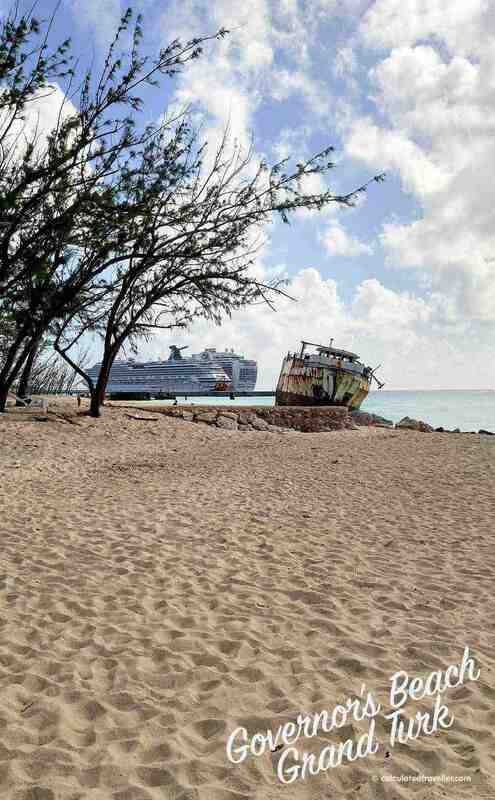 With thousands of people from multiple cruise ships converging onto a single island, real estate on the sand with some shade often comes at a premium price. I hate being at the beach with people lounging inches away from me. I need my personal space to relax. 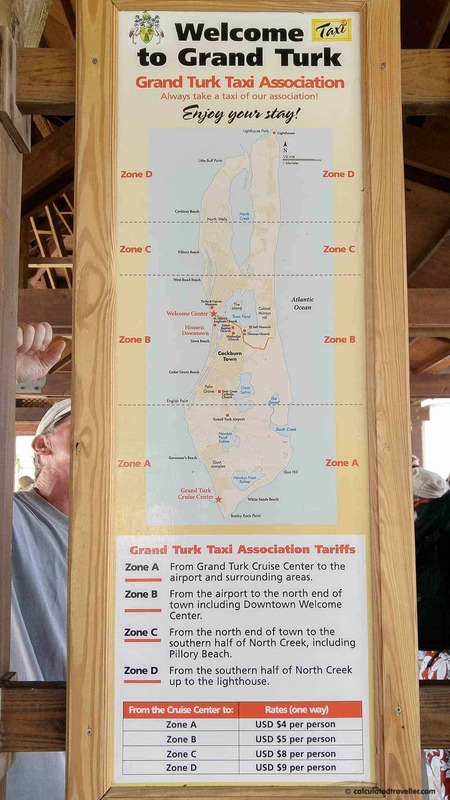 There are two options on the island of Grand Turk for cruise ship passengers looking for free lounge chairs with access to crystal clear turquoise water and shade that’s close to the port. 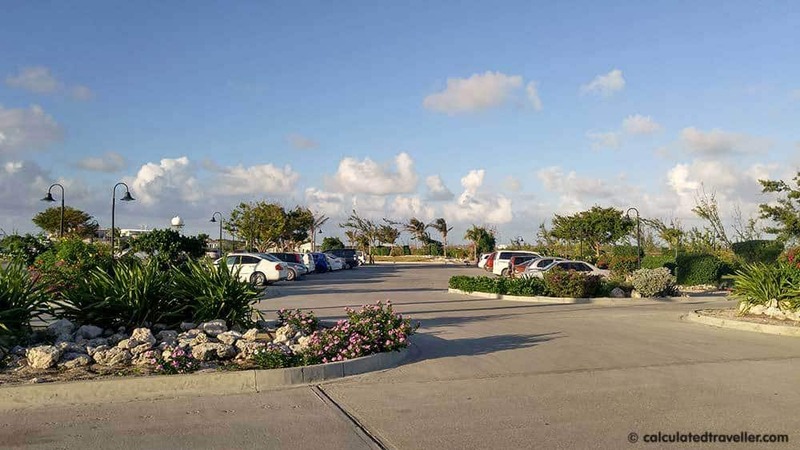 This view of the crowded beach at the Grand Turk Cruise Center. Or these views of Governor’s Beach further down the shore. 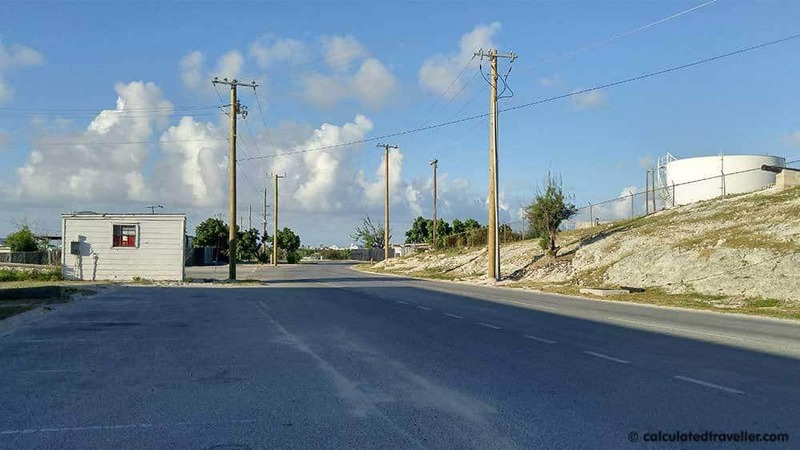 It’s not that difficult of a decision if you ask me if you are looking for an ideal Grand Turk beach site. 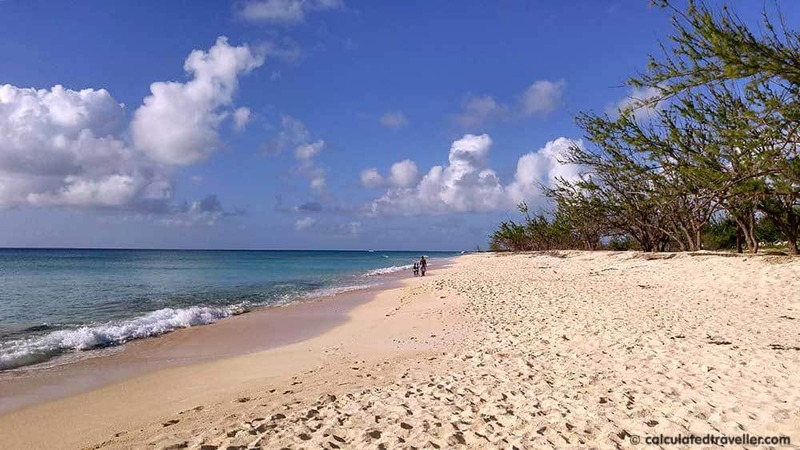 If you are a regular reader of Calculated Traveller and follow our Caribbean beach adventures, then you know that we usually take the local route opting to take local buses or walk in search of the peace and seclusion of a quiet spot on the beach. At Governor’s Beach we spent the majority of our time with less than ten people nearby, and for the most part, no one stuck around but merely passed through. We never once felt unsafe, as there were a few local families in our midst, we could see boats in the water, and horseback-riding tours rode by. Be aware though that there are no lounge chairs, umbrellas or attractions here – you’ll need to come prepared. 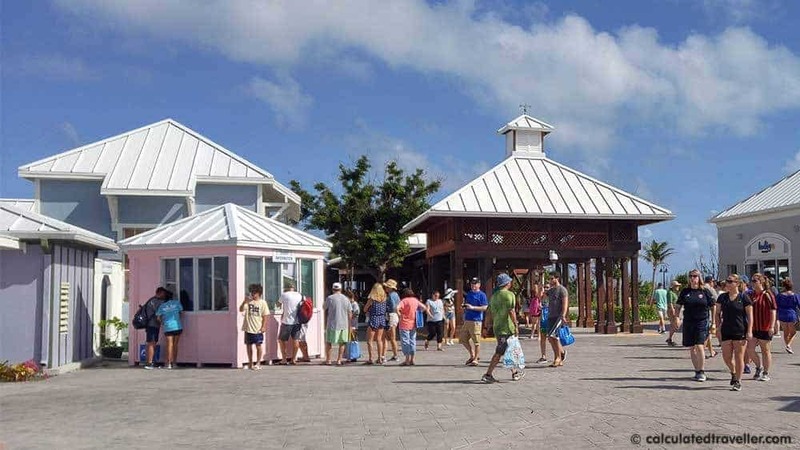 Walk through the shops at the cruise ship terminal to the Taxi zone (towards the Harley Davidson or Margaritaville). You’ll see a little pink Tourist Information booth and a brown wooden structure. Walk through the wooden structure. At this point you can hop in a taxi – cost is $4US/person each way. Ensure you have exact change and arrange a pickup time for your return as very few taxis stop at the beach. I also heard that you could rent golf carts for $50/day, but I can’t confirm where to arrange this as we didn’t investigate it, but we will on our next trip and update you here. TIP: If you plan on booking an excursion such as the popular ATV or 4×4 tours, or perhaps an island tour of the town of Cockburn, the National Museum, or the lighthouse you can ask to be dropped off at Governor’s Beach instead of back at the ship. Just how far is Governors Beach from the cruise port? 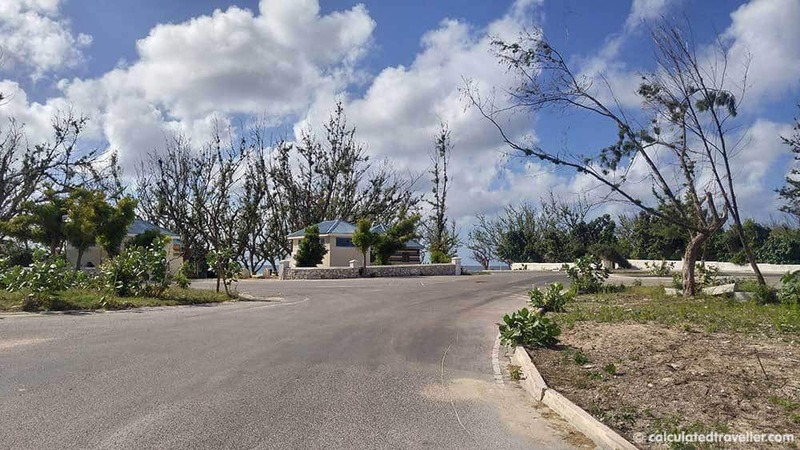 If you wish to walk, as we did, it will take you about 20-minutes to walk to Governor’s Beach. Walk towards the left side, through the parking lot and the main gate. Be careful because there are very few sidewalks as you walk along the paved road. Along the way, you’ll pass by some old industrial buildings and an unnamed road near the fuel tanks but keep going until you see the Customs Building. Turn left down the road. Once at Governor’s Beach, you’ll see some shops, a few scattered picnic tables, restrooms, showers and of course the picturesque shipwreck. On previous visits to this beach, everything was open, and all the facilities were in working order but unfortunately, not this trip as you can see by the photos. I suspect that Hurricane Irma caused some damage and they have yet to make repairs. 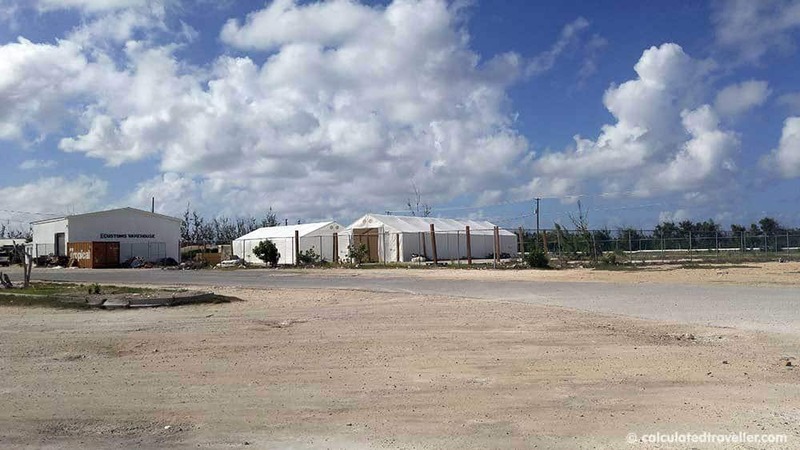 – The food stands were still closed and the buildings are still heavily damaged. TIP: Bring water, lunch etc. 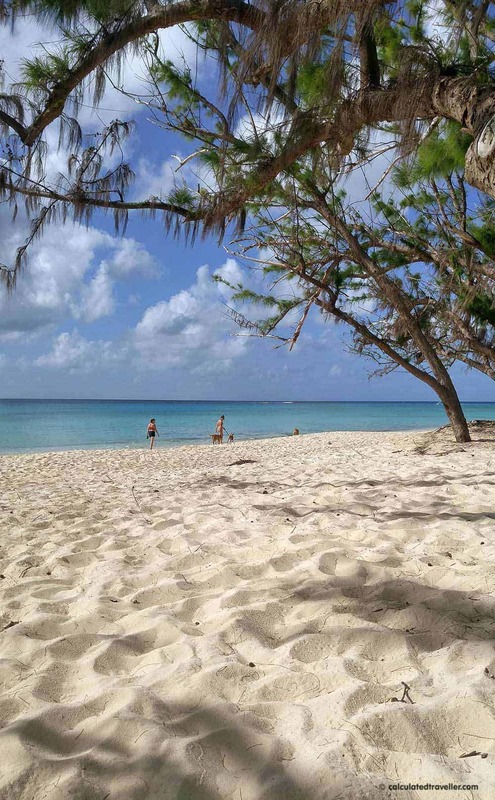 You can also see that the trees have lost quite a bit of their foliage but the water is terrific – crystal clear turquoise and shallow – and the sand is white coral. We had a lovely breeze throughout our visit and barely felt the heat of the sun. TIP: Be careful you don’t burn in the sun as I did. The cool ocean breeze is misleading. Once you’ve had your fill of the shore, walk back along the road the way you came and spend some time in the shops at the cruise terminal before you return to the ship. TIP: There is a small display of the NASA Friendship 7 Space Capsule that landed here in 1962 inside the Cruise Centre. 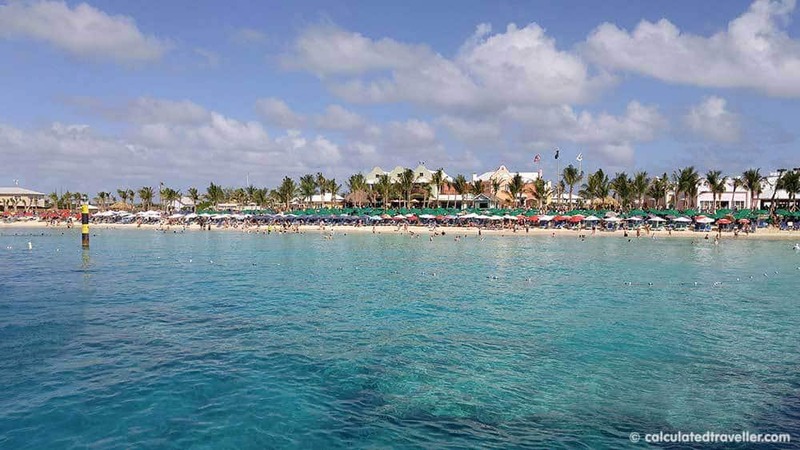 The territory of Turks and Caicos and the island of Grand Turk is known throughout the world for its famous beaches. My wish for you is that you have the best optimum experience and relaxing time while on the island. I hope you enjoyed your day of quiet peacefulness at Governor’s Beach Grand Turk. Looking for more cruise port articles? Mary Chong is based in Toronto, Ontario, Canada. A travel writer / world cruiser and founder of Calculated Traveller, when not working as a freelance graphic designer, Mary is either travelling with her husband Ray or planning the next big adventure. CALCULATED TRAVELLER Travel Well. Spend Wisely. Go Smarter. An online travel magazine with informative travel advice, helpful tips, honest reviews, and travel inspiration for destinations throughout the world. Sharing photos and memories of our adventures from both near and far; we focus on budget planning/preparation for value-conscious travellers across a wide range of travel experiences. © 2019 Calculated Traveller Magazine. All content remains the property of calculatedtraveller.com. Under no circumstances should any content be used without our express written permission. CalculatedTraveller.com is a participant in various affiliate programs including the Amazon Services LLC Associates Program, an affiliate advertising program designed to provide a means for us to earn fees by linking to Amazon.com and affiliated sites. Readers clicking on any affiliate links for more information or to purchase products we recommend through these links may earn us a small commission.